If you read this site, you probably love Android. And if you love Android, you might like to let the world know. There's really no shortage of ways to do that – you could just tell people, wear an Android t-shirt, flash your phone randomly so everyone knows you don't carry an iPhone, you know the normal stuff. 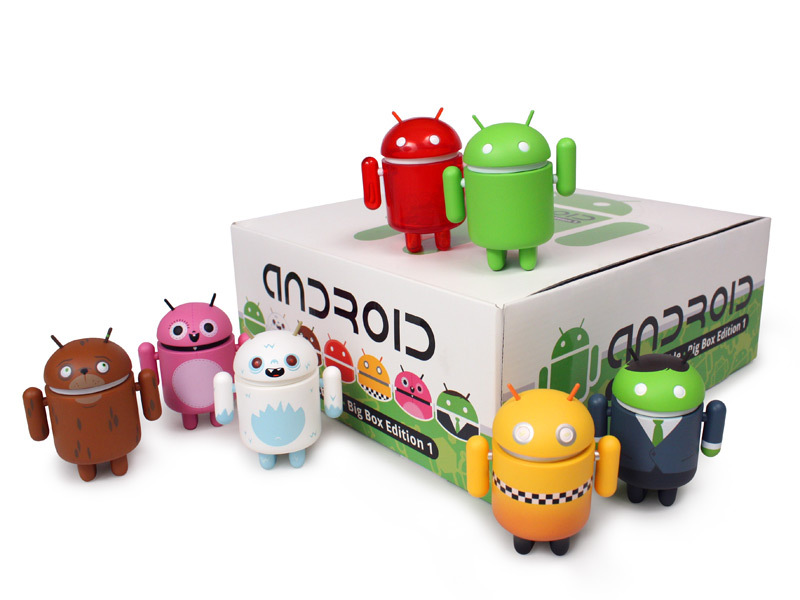 Or, you could decorate your house (or maybe just your office) with the little Android characters from the mind of Andrew Bell. Fun fact: it's almost impossible for me to type "Andrew" without first typing Android. One of the downsides of the job, I guess. But I digress. If you dig those adorable little figurines – and let's be honest here, who doesn't? – then now's the time to buy. With the minimum purchase of just $14 from the Big Box Edition figurines set, you can score 20% off. Basically, buy two, three, four, ten, the whole box ... whatever you want. Just buy two or more, enter the coupon code BIGBOXBASH at checkout and, well, enjoy the benefits. This offer is good as long as supplies last, which usually isn't long. Hit the link to grab your swag.